European SF anthologies are rare as pink diamonds, and it seems that American editors have been more interested in collecting and presenting European SF stories than European editors are (for instance, The SFWA European Hall of Fame: Sixteen Contemporary Masterpieces of Science Fiction from the Continent (2008), edited by James Morrow and Kathryn Morrow and featuring James Gunn, Donald Wolfheim, and others). It’s as though someone is a European only from a distance—from America, for example! Who inhabits Europe ? Europeans? Well, yes and no. Europe is inhabited by Germans, Frenchmen, Britons (from time to time, depending on the continent’s weather), Italians, Spaniards, Portuguese, Swedes, Poles, Dutchmen, Russians, Ukrainians, and so on. We’re Europeans only when we’re visiting other continents, but not at home. There are exceptions to the rule that European editors are uninterested in European SF, including Austrian editor Franz Rottensteiner (View from Another Shore, 1973), French editor Olivier Raynaud (under the pen name of Richard D. Nolane, working with American publisher DAW Books, Terra SF : The Year’s Best European SF (1981), and Terra Science Fiction II: The Year’s Best European SF (1983)), and Spanish editor Domingo Santos with the Ciencia ficcion europea (1982). But the general trend remains. What’s the reason for this lack of interest? Why do we only have a few European SF anthologies compiled by European editors? Why should a culturally diverse continent like Europe being incapable of finding a common way to publish its own SF on regular basis? Or, even better, collecting that fiction in English, so that more readers can read it? Perhaps it’s explained by the fact that Europe has a political union and a common market, but not a cultural common market or a publishing common market, and because it’s divided linguistically and culturally. Why do we need to start presenting European SF in English? Let’s face it, English is spoken by a majority of Europeans and by most of the World—there is a huge market for English-language literature and for works in English translation! Being pragmatic, we have to use the idiom that’s understood by the European majority if we want to offer access to as many readers as possible. From Europe to the World! We believe that this is exactly the right moment to contribute to a common European SF. This is the time! 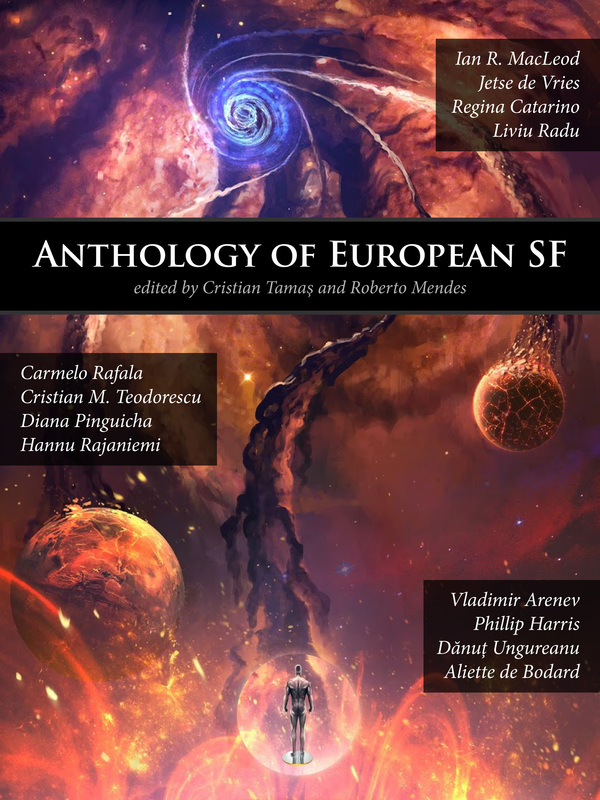 In order to start developing this project, ISF and Europa SF, two new and ambitious projects, decided to step in and launch a new European SF anthology comprising authors coming from all over Europe—England, France, Italy, Netherlands, Portugal, Finland, Romania, and Ukraine—collecting a truly representative sampling of European speculative fiction. Would we like to have more stories and more countries represented? Of course—and we will too, you’ll see! ISF is a quarterly publication with a mandate to publish (for free download) science fiction, fantasy, and horror that was (i) originally written in languages other than English (but always published in ISF in English translation), as well as (ii) fiction that comes from non-traditional sources (geographically speaking) or (iii) that has a particularly internationalist orientation. You can read all about us on our page (https://internationalsf.wordpress.com/) and elsewhere on the Web, or in the February issue of Locus Magazine. Europa SF (www.scifiportal.eu) was conceived as an English-language portal of news and information from and for European fandom—a site that provides a comprehensive, permanent, real-time mirror of European SF&F products, events, and activities. Together we want to offer to European writers the chance to be read by the entire world! So wait no more to get to know some of the most exciting authors we have—from newcomers to award winners! We promise you this: your time will not be wasted! So where’s the download link, because the links listed above point to nowhere in particular? Oh, I didn’t see that, was so looking forward to downloading it that I skipped precisely that line. Sorry. The “privacy” e-mail is not a real account, I’ll use a real address for this comment. Hello, I’m Italian and I also follow the (small) Italian SF. I was surprised to see Mr.Rafala’s name listed as a representative of Italian SF. Isn’t he from the USA? We would love to see more Italian writers in our pages, however we do not have submissions from Italy as for now. Notwithstanding the above, we are working towards having more Italian representatives in the second volume of the European Anthology of SF and on the pages of the ISF magazine. Yes, I am an Italian Citizen; my family are Italian immigrants and I was born and educated in the US (as well as the RSA and UK). I live in the UK. I’m proud to be Italian and hope that my offering to the anthology finds me representing Italy as best I can.